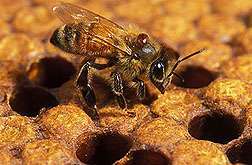 Honey bees are now fighting back aggressively against Varroa mites, thanks to Agricultural Research Service (ARS) efforts to develop bees with a genetic trait that allows them to more easily find the mites and toss them out of the broodnest. Don't forget that evolution doesn't stand still for the honeybees, either. Mites were thrust on these bee populations over the course of a few years. 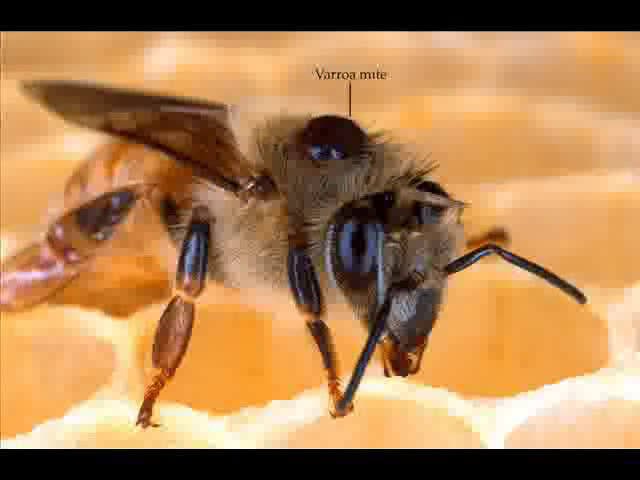 Researchers have sped up the clock on the evolution of VSH behavior, we didn't teach the bees anything. Future mutations in mite behavior will naturally select for better honeybees. It is the catastrophic environmental changes that merit intervention by researchers. Will the genetic modifications be patented? How will this bee technology be licensed?